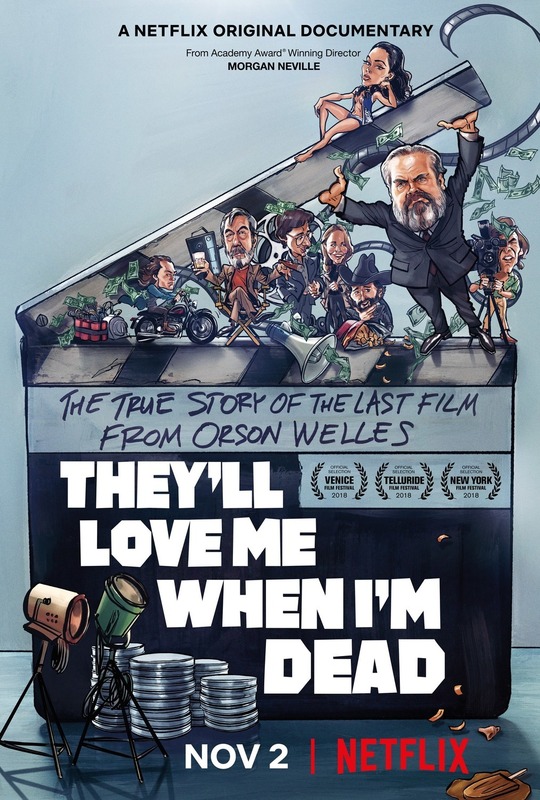 In 1970, Orson Welles began shooting a movie that he had been thinking about as far back as 1961, about an aging movie director making his latest feature against a backdrop of the changing social, political, and sexual mores of the period. The Other Side of the Wind was intended to be an experimental movie for the most part, with scenes from the movie the director is making woven into the larger story – a movie within a movie. But as with many of Welles’ later projects, money proved to be a problem, from the lack of consistent funding to his own tax problems (which required him to take breaks from production while he took various other jobs to raise money). There were also casting problems: Rich Little was replaced by Peter Bogdanovich after filming nearly all his scenes, and John Huston was only brought on as the fictional director in early 1974. Forced to contend with an intermittent shooting schedule, Welles’ didn’t complete principal photography until 1976. But his problems didn’t end there. 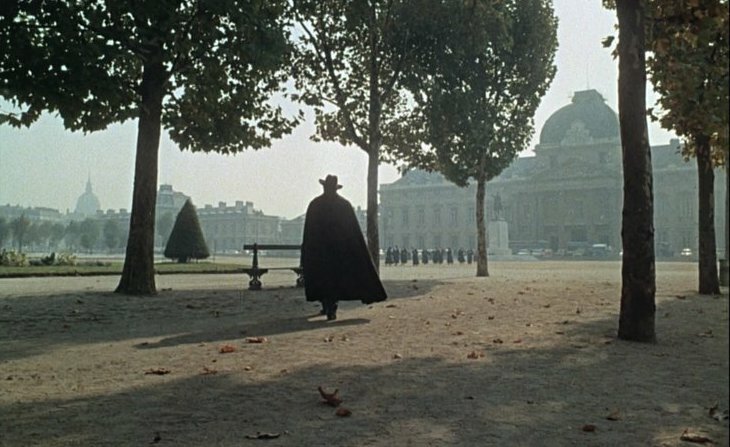 The editing process proved difficult as well, and by 1979, Welles had only forty minutes of finished footage out of a planned two hour movie. Would it ever get released…? 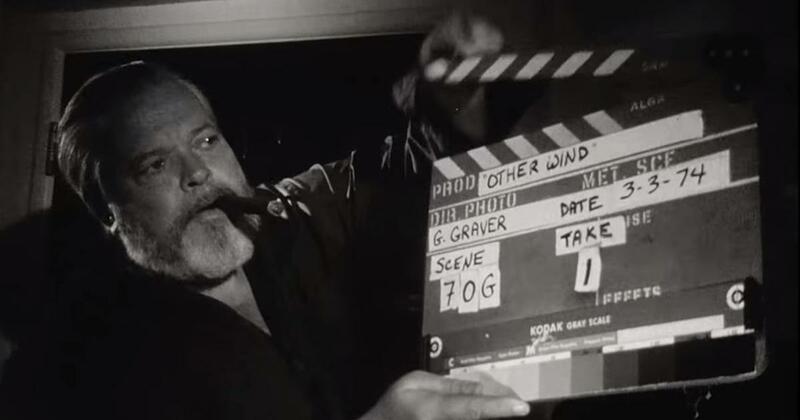 The first thing to say about They’ll Love Me When I’m Dead (a quote made by Welles to Bogdanovich), is that it’s all about the production of The Other Side of the Wind, and the remaining years before Welles died with the project uncompleted. It’s not about what happened to the movie after Welles’s death in 1985, and how it came to be released in 2018. If you’re interested in that aspect of the movie’s history, then this isn’t the documentary for you. What it is, however, is a fascinating look at Welles himself and his approach to movie making during a period when he was still fighting to get projects made on his own terms, and had learnt how to circumnavigate many of the issues and problems that were put in his way (there’s a great example of Welles’ skill as a director from Chimes at Midnight (1965), where a punch is thrown – and we learn the reaction shot was filmed two years later; and the two shots are seamless). What the documentary makes clear is that Welles knew what he was doing in his head, but it also makes the point through contemporary interview footage that Welles wasn’t always able to articulate what was in his head. Watching this, you might be hard pressed to work out just what The Other Side of the Wind is all about. One of the key strengths of Morgan Neville’s admirable documentary is its cast of characters, the people who worked with Welles on the project, some of whom have vastly different recollections of what happened, how, and why. Little’s departure from the movie is a case in point, with the man himself somewhat reticent on the matter, while Oja Kodar’s influence (she co-wrote the movie with Welles and appeared in it) is regarded as either essential, restrictive of Welles’ talent, or isn’t understood at all. These differences in memory prove strangely illuminating. As Welles himself would always state, “everything is a lie” (and he does so at the beginning of the documentary), so whether one person is right or wrong soon becomes irrelevant. What Neville teases out is the mystery of a movie that, until recently, no one has seen in its finished form. As a companion piece to The Other Side of the Wind, this is required viewing, an apéritif if you will, before the main course, and a terrific reminder of Welles’ skill as a movie maker, something Neville does through the equally skilful use of clips from Welles’s career and revealing clips of the man himself. Rating: 8/10 – thanks to lively contributions from those who were there, and a wealth of archive footage shot at the time, They’ll Love Me When I’m Dead is an enthralling look at a movie maker who was still willing to take risks, and the perils of independent movie making; best watched before seeing The Other Side of the WInd, this isn’t just for cinéastes or fans of Welles, but anyone with an interest in how movies can get made despite any number of adversities.